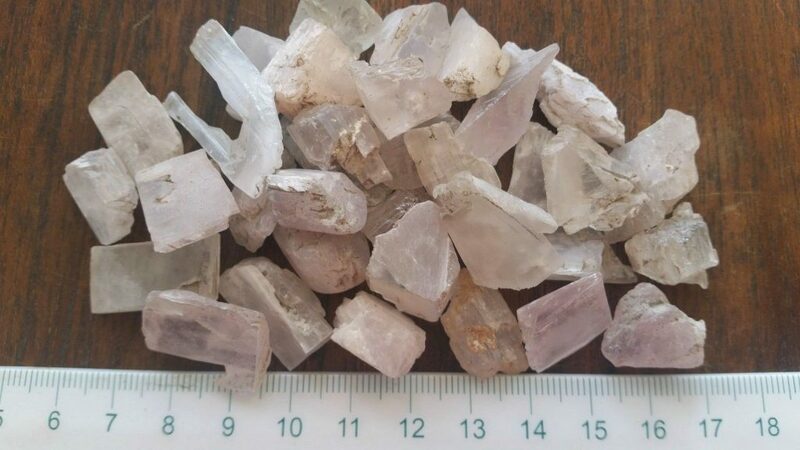 History/Mythology: Kunzite was first discovered in California in 1902 by GF Kunz a gemoligist. No know traditional effect are recorded about this stone. 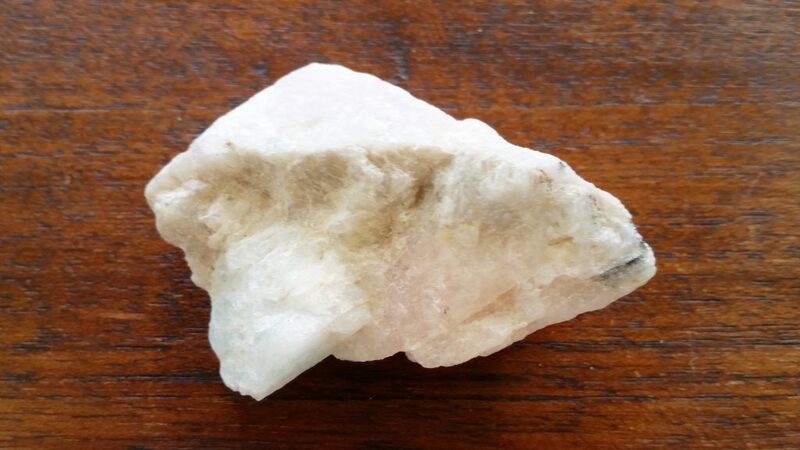 Kunzite is lithium Based so it is a very calming stone. 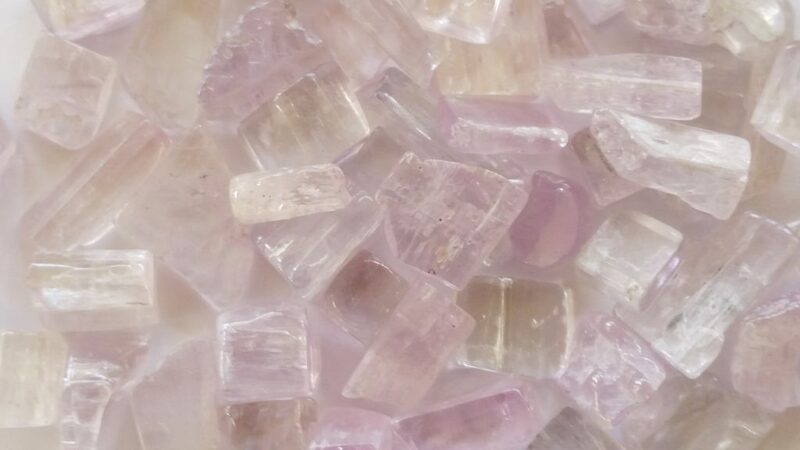 Kunzite is a very calming stone and will help to dissolve panic attacks as it dispels negative energies and strengthens and shields the auric field this is mainly due to it being lithium based. 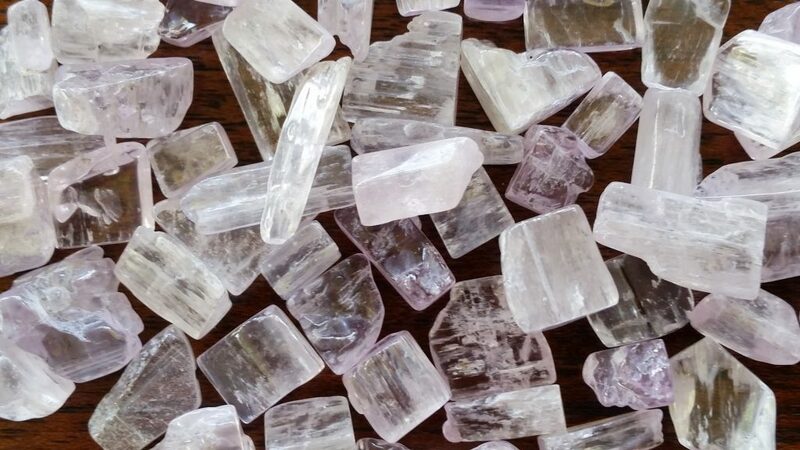 Kunzite helps you to reconnect to a more trusting time in your life and bring forth an innocence joy of life. This stone allows you to be comfortable and more tolerant in yourself and those around you in order to remove obstacles blocking your growth and to encourages self expression. Healing – Strengthens circulation, heart muscle. Calms epilepsy, joint pain. Stimulates immune system. 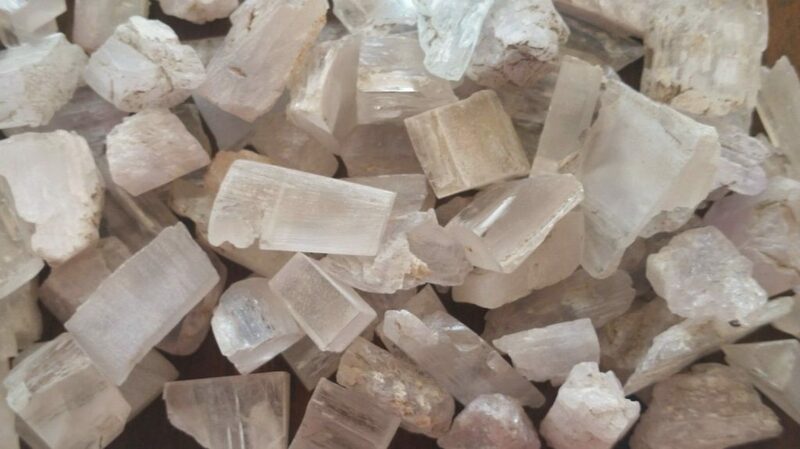 Can be used in all meditations particularly when strengthening the aura. Carried as a talisman for comfort and peach. Placed over the relevant area (heart or joint pain) during healing sessions.